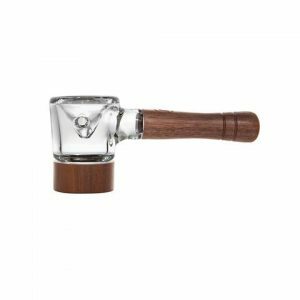 The Marley Natural Smoked Spoon Pipe is a beautiful smoking piece from the official smoking brand of Bob Marley. 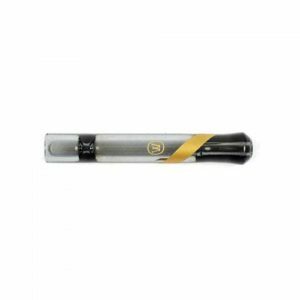 Manufactured in the USA the pipe has been given a chunky, durable design using high-quality borosilicate glass. 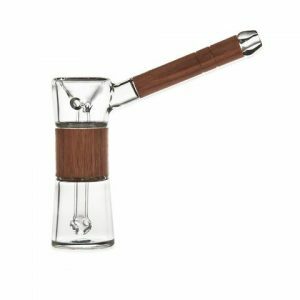 The short neck length gives way to the extra wide bowl which can hold a massive amount of herbs, so you can pass this around your friends who will no doubt be desperate give it a hit. Having such a wide bowl allows the air to circulate for better combustion, which in turn makes the herbs burn at a steadier rate. 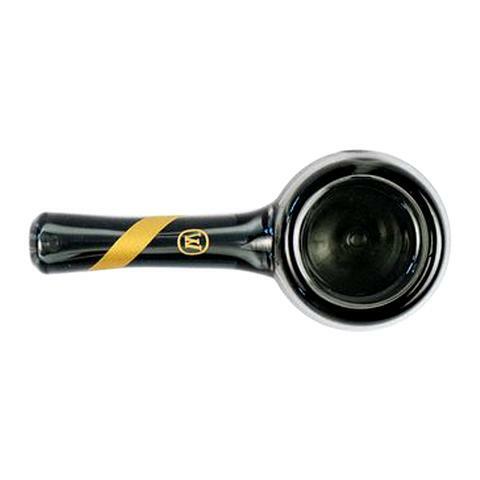 A flat base help the pipe stay resting in place when not in use, preventing any accidental knocks and spills and the mouthpiece has been given a rounded finish for added comfort. Accentuating the smoked glass neck is a golden stripe with a matching Marley emblem, giving the whole piece more sophisticated appearance. The pipe comes stylishly presented in a well-packaged box with is perfect for gifting or storage and transportation. For true connoisseurs, this pipe is a must-have addition to any glass collection.